Mission: Charitable Gift America is a 501(c)3 fund raising money for Eisenhower Center’s After the Impact® program. Eisenhower Center’s commitment to our clients is to provide Safe, Caring, Progressive, Interactive, and principled care to our clients on a daily basis. Interactive – Communication is the key to effectively serving our clients, families, and funders. We must listen as well as share our expertise. Program supported: Charitable Gift America is a fund for Eisenhower Center’s After the Impact Program® (ATI). 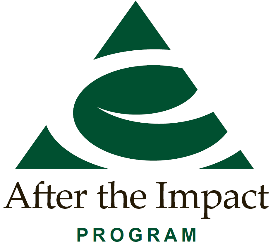 After the Impact Program® (ATI) is a 30 to 90 day treatment program for professional athletes, emergency responders, and military service members recovering from neurological injuries. Participants recovering from symptoms relating to concussion, mild TBI, PTSD and CTE are immersed in an intense, transitional treatment program to educate, support, and treat multiple deficit areas and contributory factors. The ATI model integrates a multi-disciplinary approach including both group and individual therapies, and ensures each participant receives care best suiting their individual needs. This model is based on decades of experience in the unique auto no-fault insurance industry of Michigan, which has allowed a concentration of brain injury expertise to develop through the treatment of individuals catastrophically injured in automobile accidents.